Summer is coming! 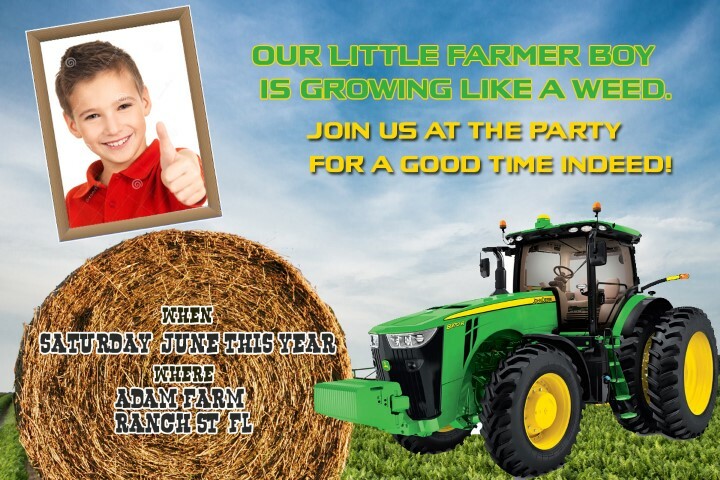 If you love construction or farming activity, especially you’re a fan of John Deere tractor, Now you can celebrate your birthday party by using our FREE Printable John Deere Tractor invitation template. It comes with farm background, John Deere tractor and a photo! You can write down your party details and attach your photo. This invitation is free to use for your personal use only! You should be able to operate Photoshop before you start customizing this invitation.